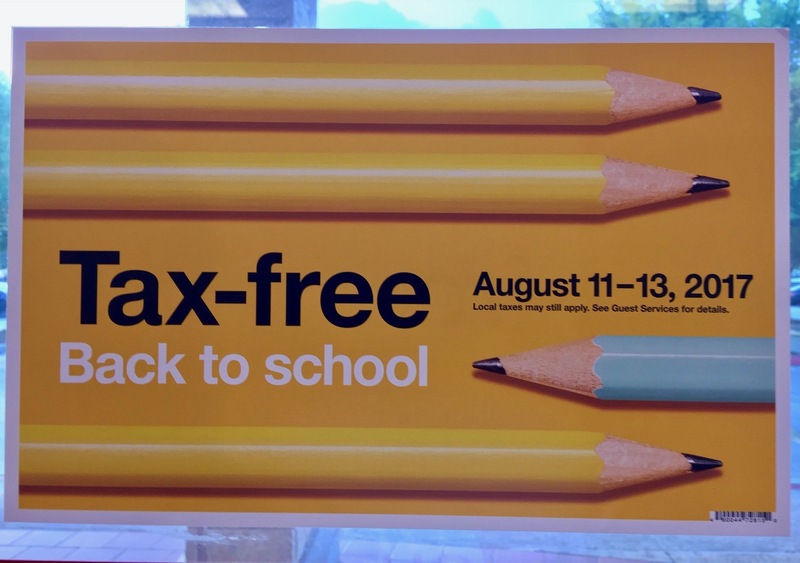 The law exempts most clothing, footwear, and school supplies under $100 from sales tax. The exemption applies to all sales on qualifying items made during the weekend. Purchases can be made online, by mail, by phone and also on layaway plans. Pens, pencils, markers, highlighters, crayons, chalk, pencil sharpeners, erasers, pencil boxes, backpacks, messenger bags, lunch boxes, protractors, tape, school supply boxes, loose leaf paper, copy paper, graph paper, tracing paper, manila paper, colored paper, construction paper, poster board, legal pads, composition books, notebooks, index cards and boxes, glue, paste, glue sticks, compasses, binders, calculators, folders, rulers, and scissors. Clothing items under $100 each including, caps and hats, jogging apparel, sweatsuits, neckwear, ties, shirts, sweatshirts, sweaters, underclothes, suits, dresses, slacks, jeans, pants, trousers, shorts, jackets, coats, swimwear, hosiery, baby clothes, belts, gloves, diapers, pajamas, raincoats and ponchos, robes, shoes, sandals, slippers, cowboy and hiking boots, and socks.